I’m feeling quite chuffed with myself, having accomplished so much over the last two weekends. I want to share my experiences here as someone with hypertrophic cardiomyopathy (HCM) and an internally fitted defibrillator (ICD). I think it’s pretty important to show that, with due diligence and care of oneself (including personally appropriately guided decision-making around relevant risk-taking) sport participation is still possible. For sure, while there may have to be some rearranging of the goal posts, you don’t have to leave all of your ambitions behind on the tarmac after a cardiac diagnosis. 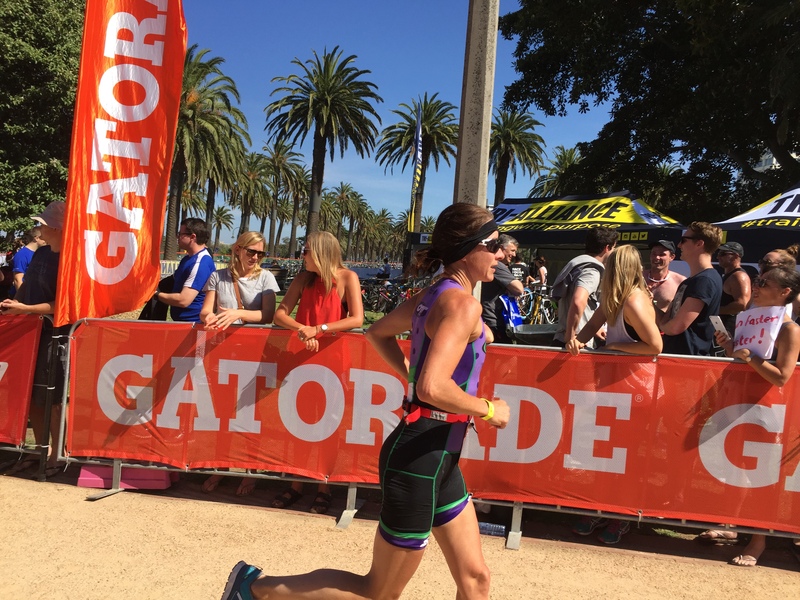 Last week, on Sunday 10th January, I participated in Gatorade’s Melbourne Triathlon Series Race 2 at Catani Gardens in St Kilda. I finally got my act together in my third Olympic Distance triathlon (1.5km swim, 40km bike, 10km run). It was the most amazing race for me, I finished 4th in my 45-49 age group, missing out on the podium by a mere 27 seconds. 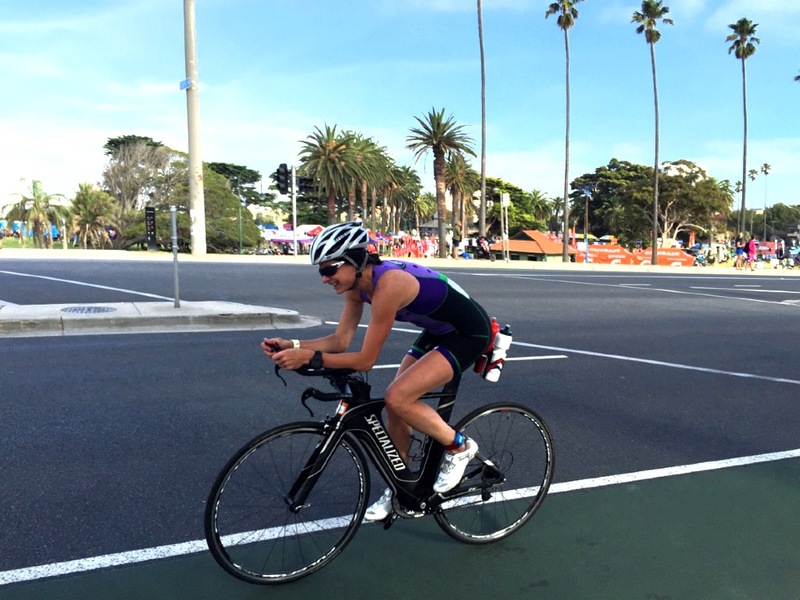 I was second out of the swim and first off the bike – and although there were only 8 in the field, this was a massive step up for me in terms of performance. I did feel my heart playing up a little on the run leg (which is not an unusual phenomenon for me, running off the bike) but on this occasion I managed to deal with it well so it didn’t upset the overall scheme of things. It just required me to stop briefly a few times – to bring down my heart rate and to channel my energy on staying focussed and calm. That impacts my run time but then managing this aspect of my own sport participation, the stuff of my heart, is all part and parcel of my own heart health journey. I just have to take it as it comes. 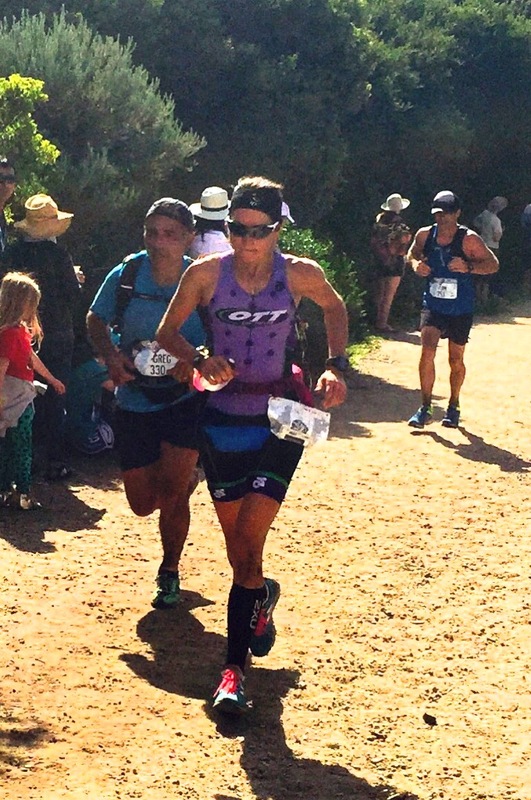 Then, yesterday, on Sunday 17th January, I ran the renowned Two Bays Trail Run, completing the gruelling 28K course (there was the doubly gruelling option of a 56K course for the ultra endurance seekers!). 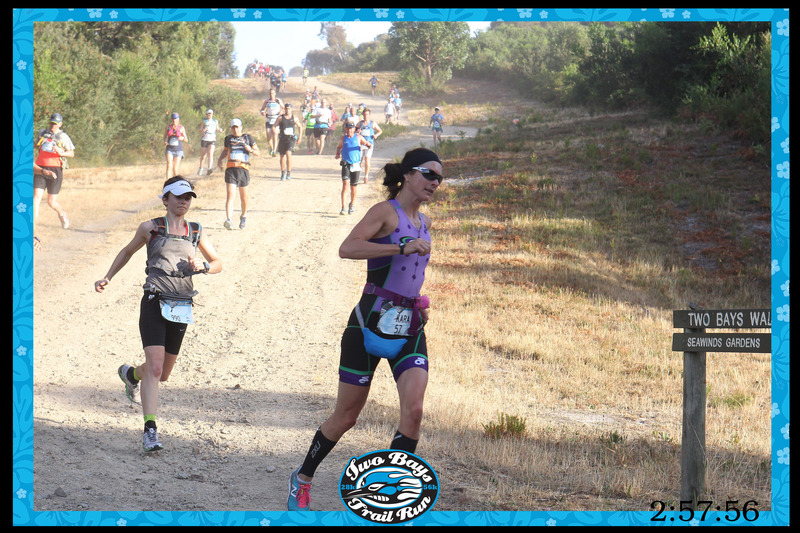 I finished in just under 3 hours, with a time of 2:56:57, which placed me in the top 20% of the women’s field. This trail run was like no other run I’ve ever done before. The Two Bays Trail is a 28km trail on the Mornington Peninsula in Victoria. It takes you from Dromana, on Port Phillip Bay, to Cape Schank, on the Bass Strait. The run itself was tough, dirty and dusty, with more uphill climbing than I’d imagined. There was a variety of ground to move over – sand, gravel, rocks underfoot, and even dreaded stairs to climb in more than a couple of sections. The entire trail deal all wrapped up. I survived! I fell twice during the run, nothing that some bandages and chlorhexidine can’t fix but definitely qualifying me as a fully fledged trail runner. It was the ‘real deal’. The organisers of this event and the trail running people are just fabulous. There was so much support on the course. I loved every minute of it (well, almost!). I had no problems with my heart during this run, and I think I sorted out my race nutrition better than ever. 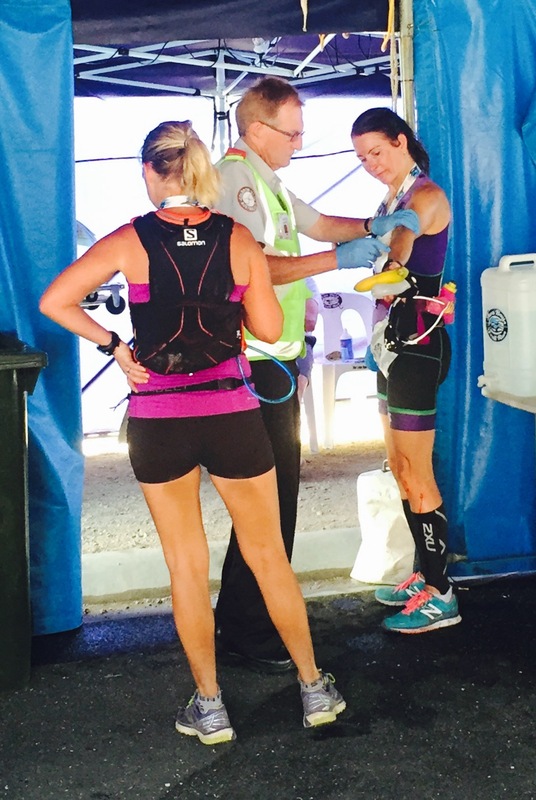 I started on the electrolyte very early in the run, and made sure I topped up at the first aid station at the 7.5km mark. I took three gels and consumed about 1.5 litres of electrolyte, regularly sucking on my water bottles throughout the morning and having extra water from a hand held bottle in the later part of the course. Over the last 5km of the race, I was grateful that I’d taken an extra magnesium tablet in the morning, and that I’d consumed all my gels over the course, for there were quite a few runners struggling with cramps by this stage. I managed to keep the leg cramps at bay and kept moving fairly strongly over the last phases. Coming over that last part of the trail that has mind glowingly beautiful views of the coast was a beautiful feeling. And, it was such sweet relief to see the light house at Cape Schank and then the finish line coming up quickly. I’ll be back again next year for this run, for sure. 2016 is proving already to be good year for me! Important Note: If you have HCM or any cardiac condition, please consult with your own cardiologist regarding your sporting activities. Careful monitoring and ongoing decision-making that involves a medical specialist will need to be part of your own heart health journey. Just remember, readjusting the goal posts doesn’t mean you have to let go of all the good things in life. Author: Kara Gilbert @ KMG Communications.